The ability to target millennials is a coveted asset to any advertiser. And Krush, with their successful video app, ooVoo, has tapped into this audience with their massive number of registered users. 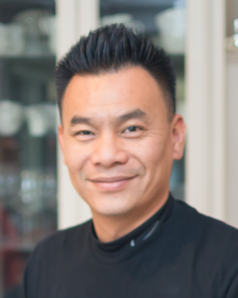 ExchangeWire speak with Jeff Chi (pictured below), VP, Ad Sales and Monetization, Krush about extending the reach of video campaigns to their unique millennial audience across their premium apps and websites in partnership with Videology. ExchangeWire: Krush have an interesting publisher mix, what are some of the advantages you offer advertisers across your properties? Jeff Chi: With our popular social video communication app ooVoo, we offer our ad clients access to over a hundred million highly engaged millennial users with all standard ad formats. The millennial generation is a highly sought after target audience for advertisers; yet they are known for being notoriously difficult to reach. This age group represents a moving target as they constantly switch up where they consume their content – as soon as you start to break through on one screen, they are already moving on and viewing content on a new platform. 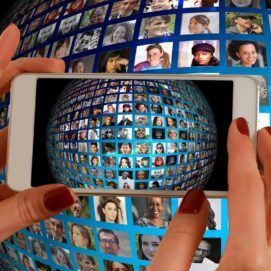 So our partnership with Videology solves this industry problem by enabling advertisers to reach our sizeable network of registered ooVoo users, no matter where they consume their content. We also directly represent a network of other various publishing properties both exclusively and non-exclusively for media and user data. You have recently partnered with Videology; what are you most looking forward to with this partnership? We are extremely excited for our partnership with Videology. By combining ooVoo’s first-party user registration data and Videology’s leading video platform with cross-device targeting capabilities, we will now be able to help our ad clients increase scale with the ability to reach our 175 million registered users. This creates a win-win scenario, as our ad clients can now reach the coveted millennial generation with high performing programmatic video ads and our ooVoo users can now receive highly-targeted and relevant advertising in the places they are most likely to visit. ooVoo is the first property you are using with Videology’s platform; what benefits will you now be able to offer advertisers? Our ad clients can now take advantage of Videology’s platform for advanced targeting features to access our users with programmatic video ads. They can now optimise for engagement and performance, among other key KPIs. Using our first-party registration data, we will now be able to reach our same ooVoo registered users, wherever they decide to consume their content with high-performing ads. In addition, customers will benefit from superior campaign results by leveraging Videology’s advertising optimisation technology, which automatically adjusts campaign settings in real time to ensure advertiser’s chosen performance metrics are being achieved. What results are advertisers finding being able to target the millennial audience with video? Millennials are highly engaged in social media and, since ooVoo has been a leading social video communications app since 2008, we have always delivered high-performing ad engagement for our ad clients in the past. It’s all about delivering a highly targeted relevant ad at the right time on ooVoo. We understand that the millennial generation is generally a set of tech-savvy, educated, adventurous, confident, progressive, and idealistic users who are practical and results-oriented, but impatient. With this combination of characteristics, video has proven to be the most effective ad form in capturing their attention and delivering brand messaging. As a result, we have built a great track record of helping advertisers place video ads to an engaged user based on their social interests, geography, gender, and age. How do you see the partnership with Videology growing? The partnership with Videology is just the beginning of a very large and exciting opportunity. Videology have a lot of great ad clients on their DSP buying quality programmatic video inventory; and we are excited to allow their buyers access to our audience, data, and ad inventory. As programmatic video continues its tremendous traction in our industry, we are always trying to stay ahead of the game with ad offerings that prove to make sense for buyers. ooVoo is the just the first property we integrated with Videology and we plan to continue adding more in the future, as we grow our partnership. Where do you see the future of video going for publishers? I strongly believe we will continue to see a rapid shift in budgets migrating more towards video in the very near future. I also see programmatic video gaining even more traction as the industry standards mature around ad quality, which is the direction we are heading very quickly. This is yet another reason why we are excited for our partnership with Videology as they share the same passion for quality ad inventory as we do. Together, we will be able to offer a hard-to-reach millennial audience with safe and high-performing programmatic video advertising at scale.